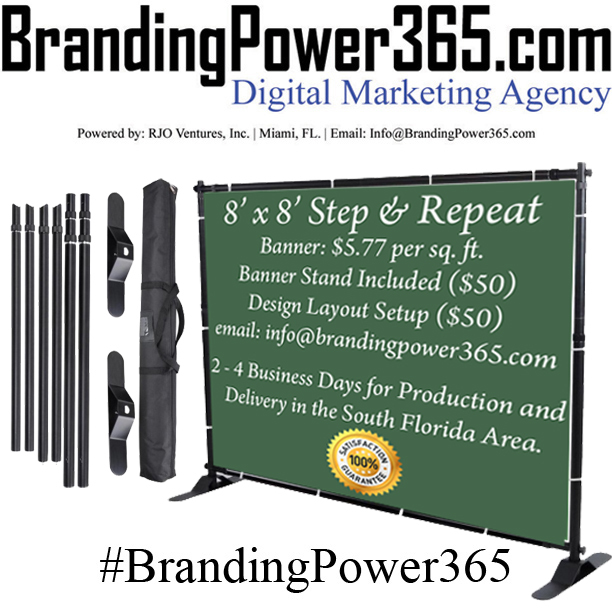 We have 8' x 8' Step and Repeat(s) available. $5.77 per sq. ft. and the banner stand is included ($50); an $80 value. Graphic design layout setup ($50). Two to four business days for production and delivery in the Miami - South Florida area.